Many people have questions about how to pick the wigs, can we make the new shape of the wigs or can we dye it. So we are going to share some tips of wigs with you. Reflective: The high-temperature resistance fibre doesn’t reflect as much as kanekalon. Due to price factors, Cos wig is usually made of high-temperature resistance fibre or kanekalon. But due to kanekalon mixed with P hair, lead to more higher reflective, and it is not accept high-temperature, so we will prefer high-temperature resistance fibre when we choose wigs. Then about dyeing. Neither of them can be dyed. If you ready want to dye your wig, you can consider using the spray paint. Rose net mesh design and ear temples design make it more breathable and more suitable. So we will prefer rose mesh wig cap when we choose wigs. If you want to make a hair style, you can choose coarsen treatment design wig. 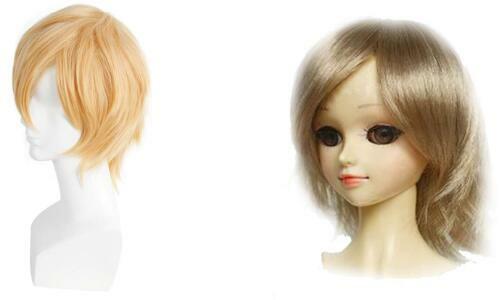 If you want to cosplay the characters with long straigh hair, you can choose smooth design wig. This entry was posted in Ask Questions, Wig Maintenance and Care, Wigs, Wigs Hairstyle Selections and tagged choose wig, pick wig, Wig-supplier.